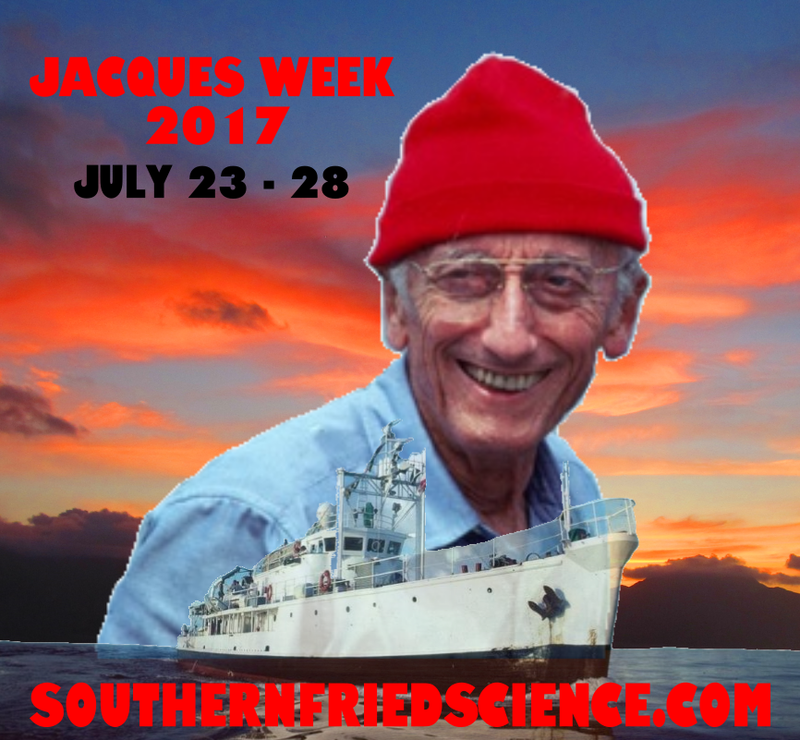 Jacques Week is only a week and a half away! Join us, beginning July 23 for six nights of classic Cousteau documentaries! From the very earliest films to his last adventures, Jacques Cousteau set the standard for underwater film, adventure storytelling, and conservation messaging. So batten the hatches and haul the sheets, it’s going to be an exciting journey! Some of these films are available online. Some will require purchase. We’ve provided links to the for-purchase options and alternates if you can’t find them. Links to all available films can be found at the JacquesWeek2017 YouTube playlist. Don’t forget to follow along on Twitter with the #JacquesWeek hashtag and visit my Facebook page for even more Jacques Week content!